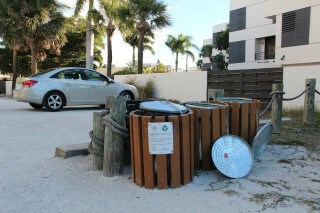 During the summer of 2013, Siesta Key Association (SKA) President Michael Shay began serious discussions with members of the Siesta Key Village Association (SKVA) about the potential for recycling in Siesta Village — a subject near and dear to him, one might say, given his professional background in the recycling business. After winning encouragement from SKVA members in June 2013 to proceed with the initiative, Shay reported at the organization’s July 2013 monthly meeting that he had identified 12 locations where recycling bins would be most effectively placed, based on the contents of trash dumped at those sites. He found “a lot of water bottles; a lot of cans and glass bottles” in his survey of the Village, he said on July 2, 2013. Longtime SKVA officer Mark Smith of Smith Architects proposed the merchants’ group invite a Waste Management representative to an upcoming SKVA meeting to discuss recycling options that firm could offer. “Awesome!” then-SKVA President Cheryl Gaddie replied. 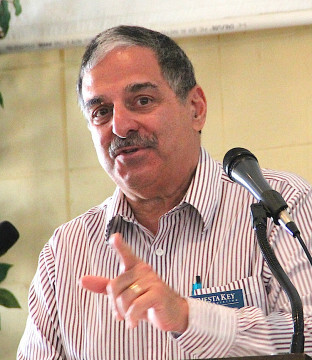 As it turned out, Larry Alexander, Sarasota County’s manager of solid waste collections, came to the very next meeting, on Aug. 6, 2013. Alexander provided information, answered questions and promised to give Gaddie a list of recycling vendors the SKVA could begin contacting. Through the following two-and-a-half years, Shay continued to work on the project, though he figuratively bumped into new obstacles along the way. This month, however, he conceded one roadblock has derailed any Village recycling for at least three years: the current maintenance contract for Siesta Village upkeep. “There is no language in the contract about recycling,” he told about 16 SKVA members during their April 5 session. Even if crews with Buccaneer Landscape Management, which won the Village maintenance contract in August 2014, agreed to empty recycling bins for no extra money, Shay pointed out, county staff had informed him that would not be allowed. 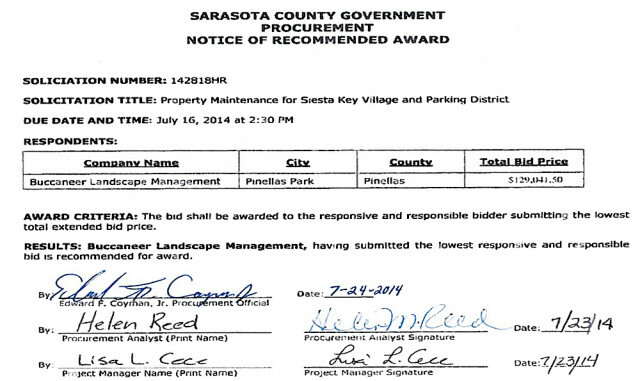 The contract the Sarasota County Commission approved with Buccaneer on Aug. 26, 2014 was for three years, at a cost of $129,041.50 per fiscal year. That can be renewed for up to two additional one-year periods, according to the terms. Just a couple of years ago, Shay thought he was very close to getting recycling approved for the Village, with a starting date of late summer 2014. 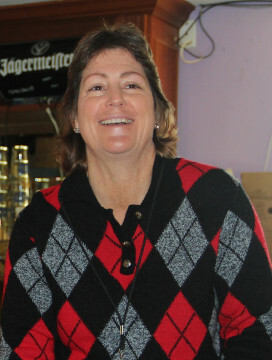 However, after Shay had been working on the project for months, Mark Smith — who serves as the liaison between the SKVMC and the county — conceded he had misunderstood about the need to convey to county staff by March 15, 2014 that the SKVMC wanted recycling to be part of the next fiscal year’s responsibilities for Buccaneer. In June 2014, then-County Engineer James K. Harriott Jr. explained to the News Leader that the March 15 date was established to enable county financial staff to make any necessary calculations for the Public Improvement District property owners to cover new expenses each year. The County Commission works with staff to finalize the county budget every summer for adoption in September, prior to the Oct. 1 start of the fiscal year, Harriott noted. Yet, in a June 17, 2014 telephone interview with the News Leader, Harriott said he would not rule out the possibility that recycling could be implemented in Siesta Village during the 2016 fiscal year. Shay was working toward that end, he told the News Leader in a telephone interview on April 7, when Lisa Cece, the county’s special district coordinator, informed him that the current maintenance contract has no provision for recycling in the Village, and that contract with Buccaneer could not be amended. “I wasn’t informed of this last year,” Shay told SKVA members on April 5. 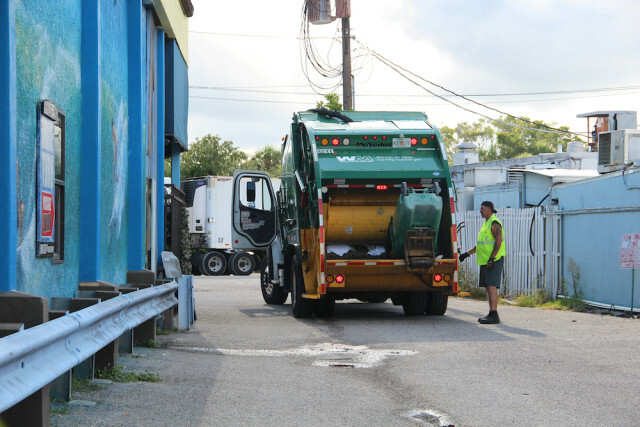 When he was working toward what he thought would be the addition of recycling responsibilities for Buccaneer in the 2016 fiscal year, he pointed out, county staff gave him a list of approved vendors, so he could get cost estimates. “You have to contact every single one of them,” he noted of those firms. “And there just wasn’t enough time” to do that in 2015 before the March 15 deadline. Therefore, Shay started on the project again this year. After he obtained all the quotes, he continued, he learned the Buccaneer contract would not allow for recycling. “We would have to go out and do a separate bid just for [the extra service],” he noted. He was proposing six bins, he added, with the containers to be emptied two or three times a week.